US-based Solar-Tectic has launched a new low-temperature OLED backplane technology that could replace LTPS in future high-end mobile OLED displays and bridge the performance gap between IGZO and LTPS. Solar-Tectic process, called LT1CS (Low temperature single crystal silicon) is a silicon based technology that creates highly oriented c-axis aligned or "textured" silicon crystals. Solar-Tectic says that the performance of LT1CS backplanes will be higher than IGZO performance. The company says that process is similar to SEL's CAAC-IGZO only based on silicon and not IGZO. LG Electronics is offering special Black Friday discounts on some of its OLED TV models. It seems that the most meaningful discounts are for the "entry-level" OLEDB7 range. 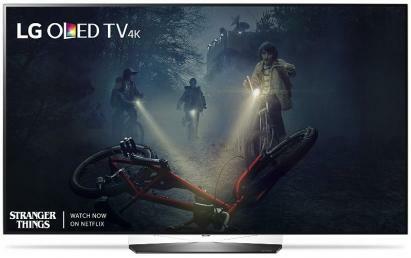 The 55" is now offered at $1,499 (down from the usual $1,999) while the 65" model costs $2,299 (down from the usual $2,799). 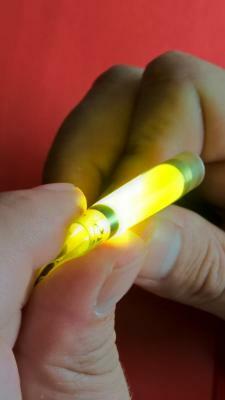 DSCC released a new market report which tracks the OLED materials market. According to DSCC's estimates, the OLED material revenues will reach $905 million in 2017 and will grow at a 20% CAGR to reach $2.25 billion in 2022. Note that these numbers do not include royalty payments. 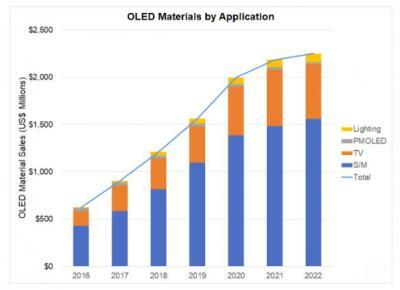 DSCC sees the small/medium display materials growing at a 22% (from $586 million in 2017 to $1.56 billion in 2022) - and growing faster than OLED TV materials (CAGR 16%) as ink jet printing, which will begin to be adopted in 2020 will result in more efficient OLED deposition. 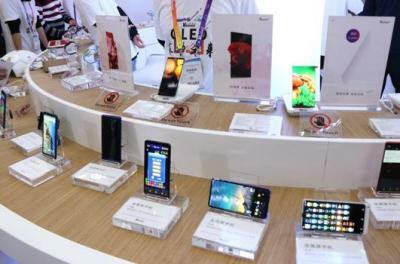 Visionox participated at the 19th China International Hi-Tech Fair opened in Shenzhen, and the company demonstrated several new OLED prototype panels. Visionox demonstrate several "full-screen" AMOLEDs, including a 6.01" one and a 5.99" flexible one. According to the Chinese report, Visionox has stated its flexible OLED "roadmap" as the company wants to start with curved panels, then move to foldable and finally to stretchable displays. Visionox says it has achieved mass production technology for curved OLEDs, but according to our information its first flexible AMOLED fab will only begin production in the summer of 2018. The Holst Centre is demonstrating a new optimized encapsulation (barrier) layer for foldable OLED panels. The new barrier is made from an organic layer sandwiched between two layers of silicon nitride (SiN). These are standard materials, but by optimizing the stack design the researchers at the Holst Centre were able to control its mechanical properties and create a much more flexible barrier. The Holst researchers used an organic material that can withstand 400 °C and can be applied by slot-die coating. 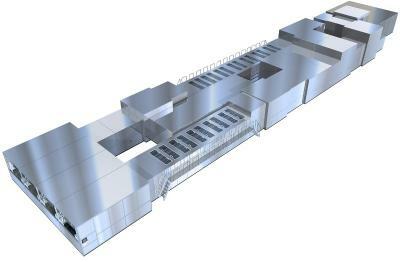 This allows the SiN layers to be deposited at 350 °C, improving their quality and ability to prevent water penetration. The Holst tested the OLED prototypes that use the new barrier for 1,000 hours (in accelerated lifetime testing) and no black spots appeared, even after 10,000 folding cycles (bending radiud 0.5 mm). 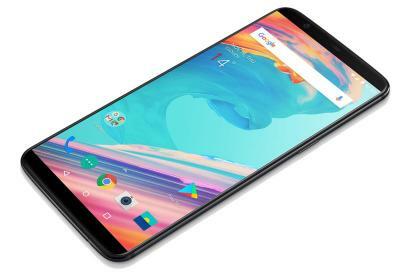 The OnePlus 5T is a flagship Android smartphone that features a 6.01" 1080x2160 (401 PPI) Optic AMOLED display (OnePlus' own display marketing term for an SDC Super AMOLED, it seems), an octa-core Snapdragon 835 Chipset, 6/8 GB of RAM, 64/128 GB of storage memory, a 20 MP camera and Dual-SIM. The OnePlus 5T will ship by the end of November for around $500 (6 GB RAM, 64 GB storage). SCREEN Finetech Solutions (a subsidiary of Screen Holdings) launched a new OLED deposition system specifically designed for 6-Gen (1500x1850 mm) substrates. The SK-E1500G makes full use of mini-environment technologies to effectively control contamination created by suspended particles in gas and chemical elements and static electricity occurring during the production process. The system is based on SCREEN FT's Levicoater slit type coating unit. The SK-E1500H also incorporates advanced transport technologies that enable it to perform simultaneous processing of two 6-gen half-substrates.